Selamat Balik! Events continue to move forward! The dark continues to reel as it encounters one potential setback after another. A scenario is forming that promises to give us the means to bring out the first stage of monetary reforms that are to swiftly lead to your abundance. The currency reforms and the new banking regulations are merely the start of a system that is to produce gold-backed monies. These things are to lead to a new environment that is to be overseen by a series of NESARA-like governments across this globe. It is this new network of governance that is to spawn disclosure and set the way for formal announcements about first contact and your return to full consciousness. This process is to also allow for your inner Earth brethren to appear before you. 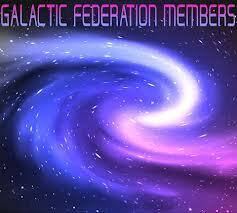 We, along with your Ascended Masters, are to set the stage for this grand journey. As you progress, so Mother Earth is to move forward with changes to her surface realm. These alterations are to return her surface to the size and shape that existed in the latter days of ancient Lemuria. In this mode, a permanent golden Age can appear! All of you are now undergoing transformations that affect your body, mind and emotions. This is necessary to provide you with the means to become fully conscious Beings. Our initial tasks are simply to provide you with mentors who have the necessary training to aid you in reaching preliminary points you need in order to be transformed by the magnificent Light chambers given to us by Heaven. Each chamber is a living entity, capable of returning you to your former state. The Atlanteans and their dark “friends” imposed limited consciousness upon you. Their vile experiment, which left a few hundred Atlanteans in a lesser state, was done by the dark to subvert the ways of Heaven. At the same time, it gave your ancestors important experiences to better understand the conditions imposed by the dark upon its many galactic creations. This special knowledge is to permit you to aid the former Anchara continuum-based planetary societies on their own journey toward the Light. This journey of yours has numerous twists, which keep you frustrated and wondering about what is occurring around you. Special groups are moving forward with programs designed to permit you to be free. The dark cabal understands only two things – wealth and power. These were manifested on Mother Earth at the start of the first golden ages almost 13 millennia ago. These concepts are now to be pushed aside by a series of actions of our numerous associates. In a galactic society, these concepts are unknown. Technology provides everyone with health, food and clothing. There is only the daily use of your divine service to grow on all levels: spiritually, mentally and emotionally. Employing this acquired knowledge, individuals add their logic to solve any potential problem that can arise. Thus, it is nearly impossible for any potential problem not to receive its proper creative solution. We reside in a society that is open, free and filled with joy and happiness. The galactic society you are to construct is one that is to be founded on the many prototypes that exist throughout this galaxy. The Agarthans maintain a vast library that has records of all that has preceded you. In addition, you are to possess an edition of our sacred “Book of Understanding.” These volumes can give you additional clues on how you are to go about forging this galactic society, which is to have many branches on Venus, Mars, Gaia and Pax. Numerous societies of special Spirits exist here that are also to assist you in this process. In total, you have a great amount of possibilities that are to be the foundations for your new star nation. Many throughout this and numerous nearby galaxies follow closely what you are destined to achieve. All of us realize what you are to do, and the wondrous effect it is to have on all. Hence, we come to introduce ourselves to you at the right divine time. This moment is now forming and, shortly, we are to be permitted to address you directly. Namaste! We are your Ascended Masters! Today is a time for renewal. It is a moment when, together, we can visualize a new reality forming in joy around us. Let the wondrous events of this day lead us to freedom and responsibility. This responsibility is to create new governance, spread prosperity and honor our mutual individual sovereignty. Bear in mind that sovereignty is a gift given by the Creator. We are here to honor and protect it. The original dream of America was to fully bask in this and to peacefully spread it throughout this world. Respect for all is based on the sacredness of all life. Gaia is a living Being that is to be honored and thanked for her great gifts. You live in a realm filled with an amazing diversity of life. A similar diversity is spread across this galaxy. Respect it! Feel its joy! Be the grand mentors that you were put here to be. Hallelujah! Hallelujah! Hallelujah! As you rejoice in your new reality, understand that it requires your love and your firm commitment to who you really are. Become aware of the changes and be ready to accept the start of a new world. Centuries ago, Count Saint Germain established a great nation on the shores of North America. He carefully gave a series of documents to this nation that set up both its governance and its basic principles. In the 19th century, this land began to veer from what he had founded in the latter half of the previous century. This land is on the brink of completing a procedure that has the potential to restore it to what it once was. We bless and divinely thank those whose courage and tenacity have made all of this possible. The healing that needs to take place requires your sacred help. We are all in this together! Blessings unto all. Be one in prosperity and in Joy! A great healing for Mother Earth is taking place. Ever since the rise of the first societies after the fall of Atlantis, humanity has used the Earth for its homes, sustenance and even the source of its clothes and its shrines. We dug up the Earth and at first honored her for what she did to permit us our lives. Eventually, these blessings fell by the wayside and a new attitude of abuse became the norm. This was especially prevalent in the early time of the recorded histories of Egypt, India and China. The Americas also dishonored Gaia. It is time for this to cease. It is time to honor a brave and kind one who gives you life. Use the new governance and new technologies! Return to honoring Gaia. Also, thank the Creator and diligently learn new truths and new ways. The time of celestial reunion arrives! Hosanna! Hosanna! A fascinating report. Although Carl does not mention a new economy or NESARA, the star configurations are speaking to our co-creation of the NEW EARTH and of the DIVINE GOVERNMENT we the people will establish in our nations. The YOD that Carl points out is called in esoteric astrology “the finger of God.” We are being assured that Divine Guidance will be with us as we co-create our New Earth.